where did the kunemon find so many digieggs? I don't see why them finding Digitama would make a difference for what's about to hatch from them... Those outbreaks probably happen naturally when the system is particularly... "buggy". I generally tend to favor grouping armors into Adult as their "actual" level, just like Super Ultimates are technically still Ultimates. 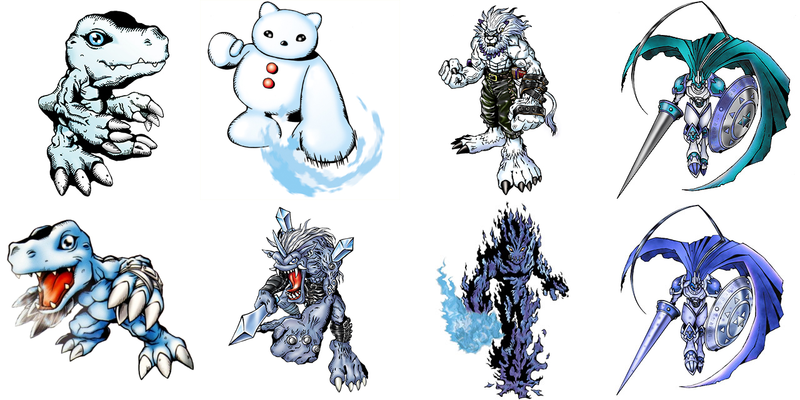 Especially considering the status of Digimentals as ancient evolution trinkets it seems an elegant solution to classify them as averagely weaker (because more primitive) "hacky" adult level Digimon from when the "true" adult level was difficult to achieve. Anyway, even when they were placed "above" adult as they arguably were in Savers for example they were still clearly not equivalent to Perfects in any way, still perfectly beatable with adult Level Digimon and used as cannon fodder in parts of the story when actual Perfects were still portrayed as challenges. Muur may have meant Digimentals, which, like Digitama, were called Digi-Eggs in the dub for some reason. yes. the armor digieggs. so the kunemons would use the digieggs to become the flybeemon and the other guys. Last edited by Muur; 02-02-2019 at 01:29 AM. MadLeomon is one of the better Xros Wars Digimon as his mode change has no other Digimon parts. In the Pendulum he's an adult (like Angemon vs Devimon) just uses his Armaed mode while attacking. In that case I don't get why multiple Digimentals would be necessary in the first place when they could have all used the same one (note how none of the profiles ever pluralize the term). The V-Tamer Digimental is a different concept completely unrelated to armor evolution. In the TCG, which is outside of the anime, practically every single Hybrid are capable of evolving from any Adult or Perfect (or both) Digimon, as long as they have the respective Spirit. And the TCG is also highly questionable in terms of null canon, a point I've made on multiple occasions on the Wikia regarding Minotarumon's level and how Justimon as a species / collection of subspecies works. Also, it is completely your personal headcanon that Nefertimon was a mistake. No, not even close as I've seen multiple people across the web that were rightly furious at how badly Nefertimon as a concept was executed. There is nothing wrong with having all Armor be the same level tier. Rather, it's a fact that they're all the same level, Armor-level. Level and power of strength are not strictly tied together. Except nines out of ten however, they are. Magnamon and Lucemon are both treated as outliers and thus shouldn't be used to. What's more, having Armors be equivalent to the next level up from the Digimon undergoing Armor Digivolution actually eliminates what makes Magnamon an outlier because you can just have it Armor Digivolve from Perfects to be an Ultimate level stage. As I've said before, the most consistent way to classify Armor is in a single level tier. It's an illogical and completely arbitrary consistency though. The idea of Armor being the equivalent to the next level up from the Digimon undergoing Armor Digivolution has a logic that makes it consistent: It's that digimon becoming stronger and Digivolving by putting on armor, emphasis on Digivolving. It's not treated as a Slide, it's treated as progression. This is why your argument of classifying classifying Armor as a single level tier doesn't work because by that logic, no Armors should be equivalent to Adult not even Gatomon's because 02 nerfed her as a stage. Last edited by Chimera-gui; 02-02-2019 at 05:39 PM. Anyway, here's something cool with recolors. Blue Dukemon is from Rumble Arena. 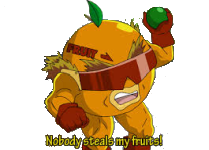 Still outside of the anime, and it is also the only non-anime media regarding evolution for most of the Hybrids, excluding Agnimon and Lobomon. ...So it's still headcanon, just one that is shared with a very vocal minority. Random people on the internet are not exactly authoritative figures in official canonicity. It's not illogical, but rather a fact that all Armors are the same level. There can be progression in strength without going into another level classification. Even if you use Armor in place of a level progression, Child>Adult>Adult>Ultimate is still a completely legitimate line, just one that makes use of both Slide and Warp Evolutions. What is inconsistent and goes against the fundamentals of Armor-level is to have it widely vary based simply on what it evolves from. Fladramon evolving from a Perfect? Then you end up with an Ultimate-level Fladramon which, by all intents and purposes, is illogical. Armor isn't some fluid concept; it's a fixed level category. The individual members of the level category may vary in strength, but they still belong in the same category. Replacing Armor with Adult is simply just that, keeping all of the fundamentals about Armor the same except the name. A rose by any other name. It also isn't contradicted by "exceptions" like Nefertimon, Magnamon, and Rapidmon; unlike your way. I'm not even sure what you're trying to say in that last sentence. How is Child>Adult a Slide Evolution? Or are you putting words into my mouth or something. though the fire does make me think of shinegreymon burst mode, so I guess falldown mode would be the ruin mode to core mode.